Suzanne from thescrapbookstore.com.au first found me on elance a while ago. She searched for reliable magento developer and I was happy to help her out with her online store. I completed the project on time and Suzanne liked the work very much. Almost half a year later Suzanne contacted me again this time through my website www.goivvy.com asking for more help with her magento website. She needed custom backend reports, some work done to layout of order pdf’s and frontend search functionality improved. I am not allowed to reveal any sensitive information related to thescrapbookstore backend so I just briefly describe what I did. I developed magento extension that generates lifetime sales reports with all imaginable filter combinations: by sale date period, by sku, by category, by customer, by customer’s country etc. That might be useful for any online business and Suzanne liked it a lot. She also asked for a few addons to it later on that I developed as well. Then I modified invoice pdf layout to include customer comments. Suzanne complained it was missing that data so I fixed it. It did require some custom magento coding and I wrapped it up as an installable extension. 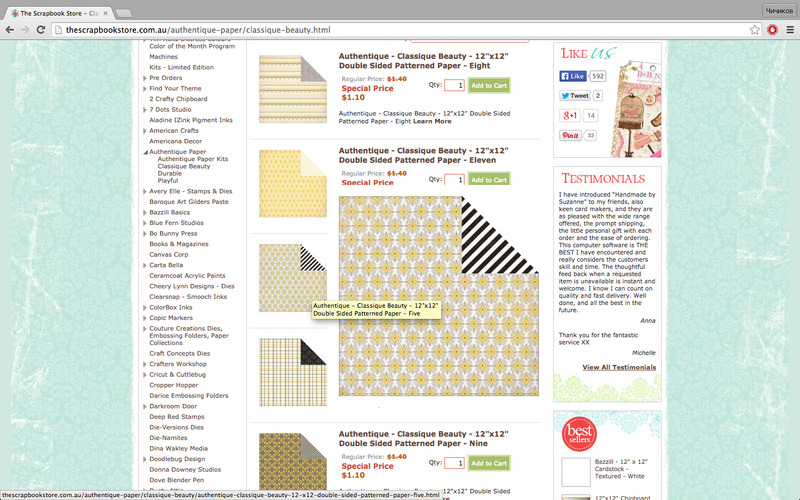 I also added image hover functionality to thescrapbookstore frontend. When you hover over a product on the main list the image pop up in larger size appears. Very useful feature to allow customer bettter see the product without visiting the product page itself. I continued magento developement by creating custom data export profile so that Suzanne could export products by category ID. I also made a few tweaks to custom magento dataflow functionality to speed it up a little. These changes I am going to reveal in my blog for other magento developers to use so check out my blog and stay tuned. 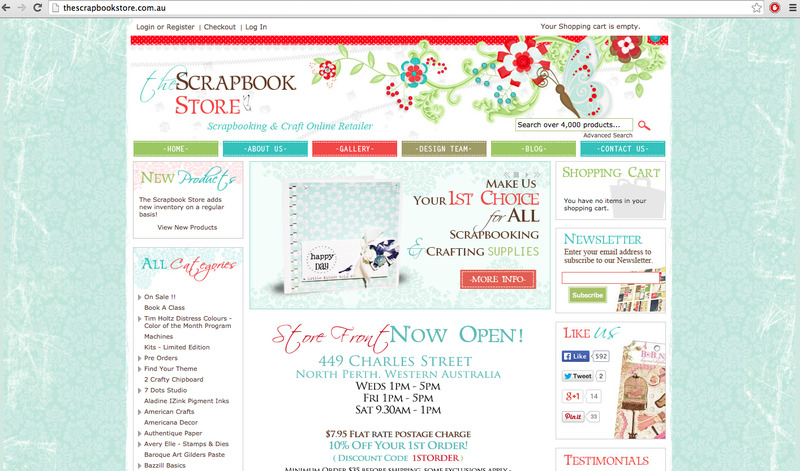 I was very pleased to help thescrapbookstore with their magento development needs. Some requirements were quite hard to implement by I liked the challenge and I managed to find simple but working solutions to all magento problems Suzanne reported. If you looking for knowledgeable magento developer for you online store contact me today for free quote!